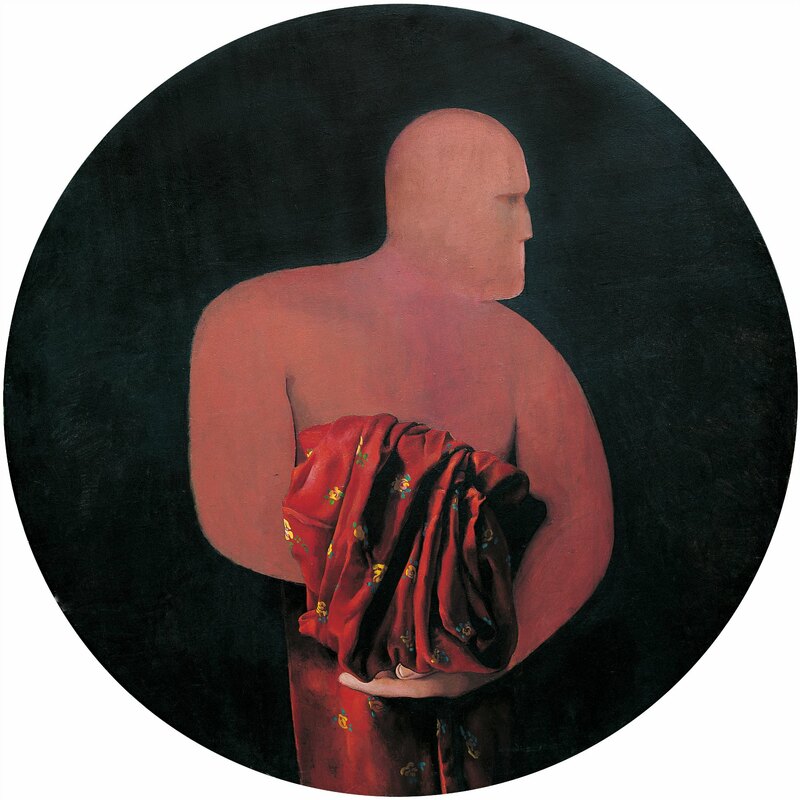 The tondo Man Holding a Woman’s Dress, Watching Her Walk Away contrasts the figurative and the metaphorical style – an exquisitely painted cascade of fabric, relic of a departed lover, is juxtaposed with the brutish caricature of the male lover. This painting was admired so much by collectors that Robert did at least one copy of it. This formula was based on the ‘to love is to live in fear of loss’ notion, but this painting also relates to Lenkiewicz's relationship to Mary. Lenkiewicz's diary notes on 2 February 1977 a “beauty and the beast state of affairs” colouring their meetings, and begins this painting.